Although I can’t find the date on the About Times Haiku page, I can only assume April 1st is the kigo (seasonal reference) that has justified this page of “Serendipitous Poetry from The New York Times“. That’s a lot harder to teach [as] an algorithm, though, so we just count syllables like most amateur haiku aficionados do. It’s rather late in the day, so I’ll simply offer a picture of the weeds in my garden – a “juxtaposition of vernal imagery”, which is as close to a kireji as I can manage right now. 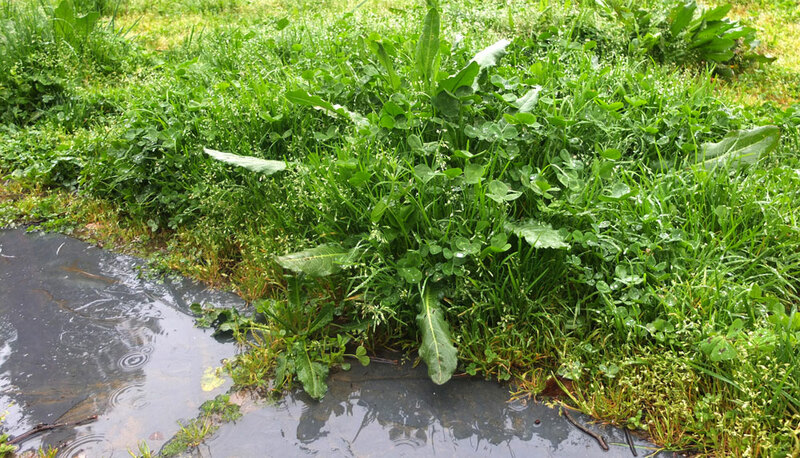 Note that the weeds are certainly green and also rather cabbage-looking; perhaps they would have been good subjects for April Fools’ Day pranks. April has brought the cuckoo and forced the lilacs into bloom. Now it’s even bringing a few showers. They don’t seem to be doing much to pierce the drought of March, though, as they barely dampen the surface of the ground and then evaporate with wind and the suddenly dazzle of sunshine. Down by the river the other day, it would have been easy enough to put your foot on seven daisies, but I haven’t seen any in my garden and I’m sure summer isn’t really here yet. Perhaps the river bank is as inaccurate a time keeper as dandelion clocks tend to be. 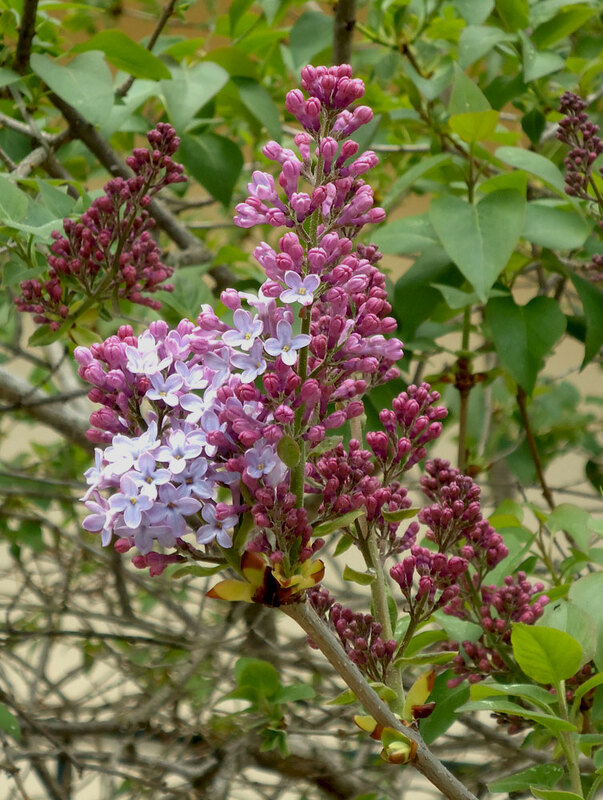 First of all a picture of a spray of lilac. Because it’s April and it’s about time there were lilacs. And now some talk of poetry. Because it’s April and even if I’m not managing a poem a day, I am trying to focus a bit more than I sometimes do. I posted a ‘found poem’ in Spanish a few days ago (yesterday’s poem) along with an unsatisfactory translation into English. In fact the bus station notice about ‘security recommendations’ that the text was taken from used to be much longer and much more detailed. It had caught my attention in the past and I found an old copy of the complete version in my notebook. 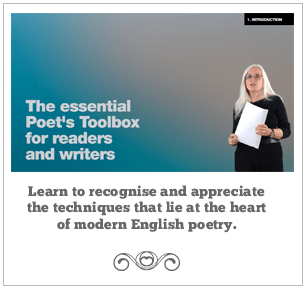 This time I have taken more liberties with the ‘translation’, although none of the ideas in the poem are entirely mine: they all come from the Spanish original.